Centering Prayer is a silent prayer practice that can move you toward profound relationship with the Spirit of God within. It is a way of praying that opens the door to the Divine Indwelling—the ground of our being. 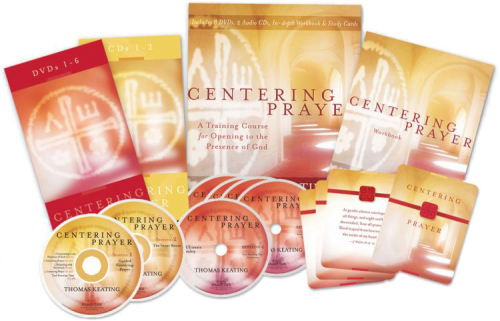 With Centering Prayer, Father Thomas Keating and his colleagues Gail Fitzpatrick-Hopler and Father Carl Arico present the first in-depth home study course in this method for deepening your intimacy with God, and ultimately consenting to the presence and action of the Divine in all aspects of your life. Centering Prayer is a unique multi-format program that provides precise, direct training in contemplative practice—as well as a treasury of wisdom from Father Keating himself. His teachings, stories, and insights reveal the fruits of fully engaging in this path of complete consent to God’s presence and action within. Join him as you learn this simple yet transformative method for taking prayer to its deepest level—and inviting the grace of the Divine to live through you. Now also available as a Sounds True online course.